Think of the elderly folks attending your wedding, like grandparents. It’s always nice to have a bit of reserved seating for them for a few reasons. First, pure convenience for them! Second, they’ll know you thought of them especially, which is a sweet touch. We are reserving a bench area at the cocktail hour and an upholstered sofa for them at our reception so they are nice and comfy. 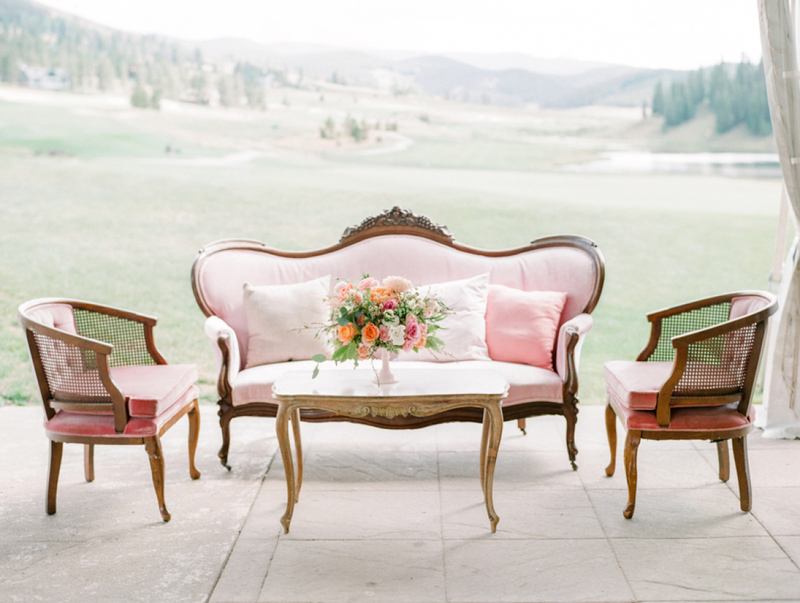 Thinking of what takes place at each aspect of the wedding will help you determine what type of vignettes to create. A vignette doesn’t always mean seating; it can be a variety of things. 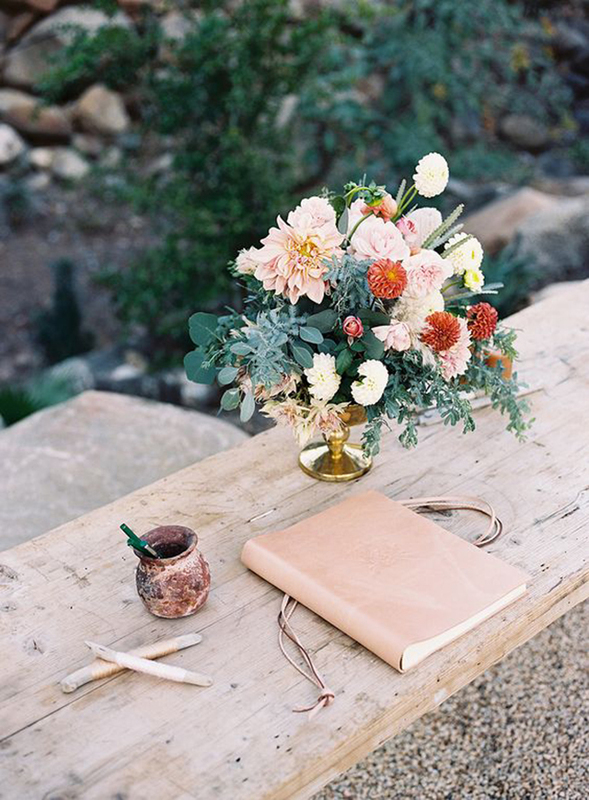 For example, when guests first arrive to our venue, they are greeted with a cards, gifts and guest book table with a cute welcome sign. Immediately the tone is set. Next, they’ll find a lemonade and ice tea table for pre-ceremony refreshments. These are two separate areas where guests can gather to do different things. 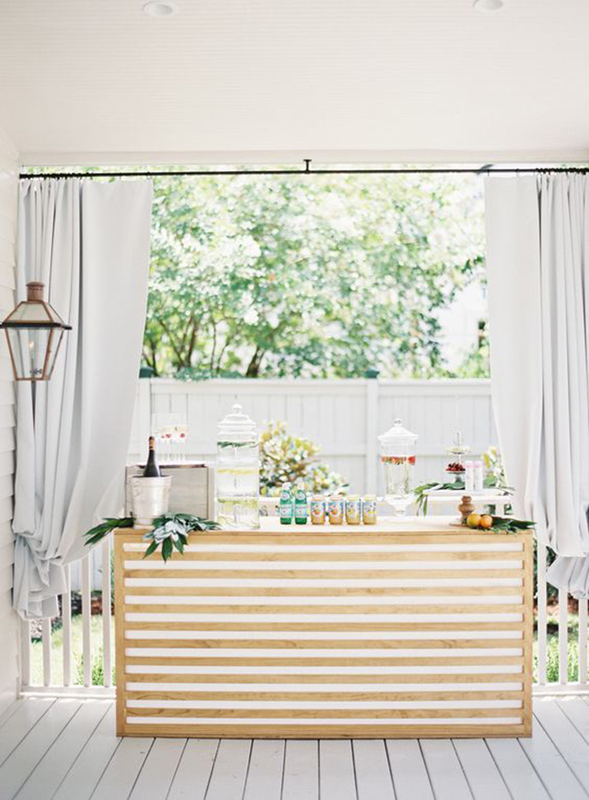 Thinking of these groupings of zones might be helpful– you never want your guests standing around wondering what they’re supposed to do, so make it easy for them! At cocktail hour, while a few seating areas might be nice, it’s more important to have taller cocktail tables around the area where guests are standing (ours will be wine barrels, since it’s at a winery!). People often want to put their drink down on a table or rest their arm on a surface while they have conversation with others. 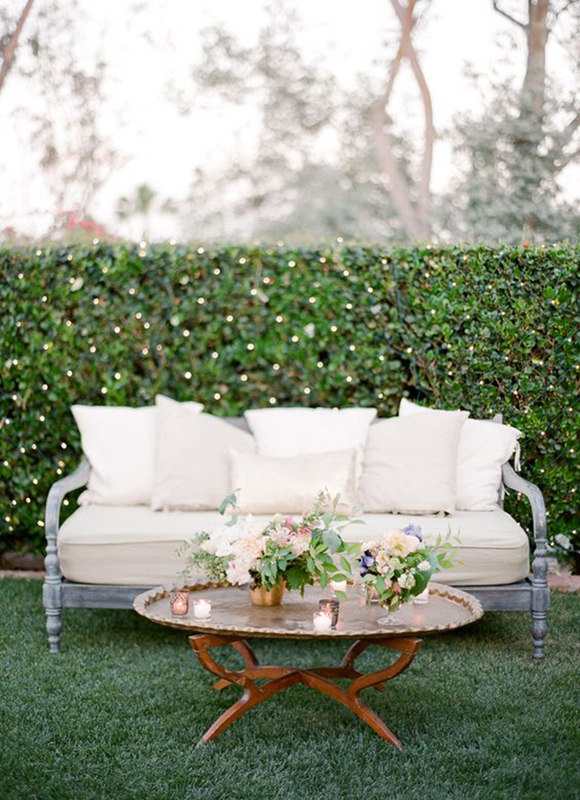 At the dancing portion of the reception, think of placing some cocktail tables around the dance floor, benches or regular tables for those who want to watch and not dance, and perhaps creating sweet, vintage arrangements for comfort and style. A variety of set-ups is the best way to go! I’m so excited to have Forage Vintage Rental Company on board for our wedding. Bethany has the sweetest inventory of feminine, vintage pieces– fitting perfectly in line with our venue and wedding style. She’s even hunted down a few beautiful pieces just for our big day! 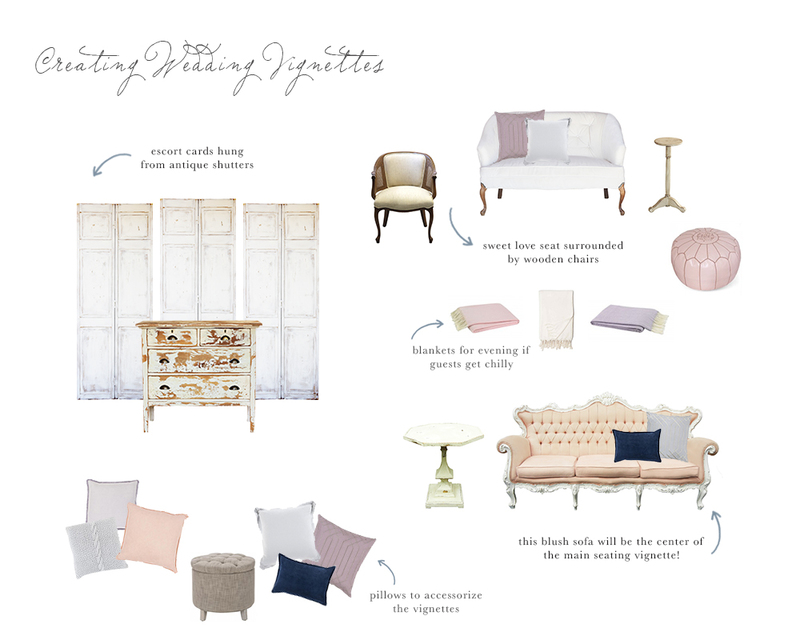 We are creating a few seating vignettes, seen on the inspiration board. The blush pink sofa is so perfect with our color palette of blush, lavender and navy! In addition to the upholstered pieces you see, we’ll also be utilizing the venue’s wooden furniture. To add some comfort and to help soften the space visually, we’re accessorizing with some Lulu & Georgia throw pillows and blankets. California might have warm days, but sometimes the evenings are chilly, so we want to be prepared! A few pillows in our color palette will add texture and comfort, hopefully making our guests feel right at home. What's been one of the most successful things you've seen done at weddings? I'm interested!